The refitting of yachts and motoryachts has become the "core business" of some of the most technological and better organised shipyards in the domestic scenario. 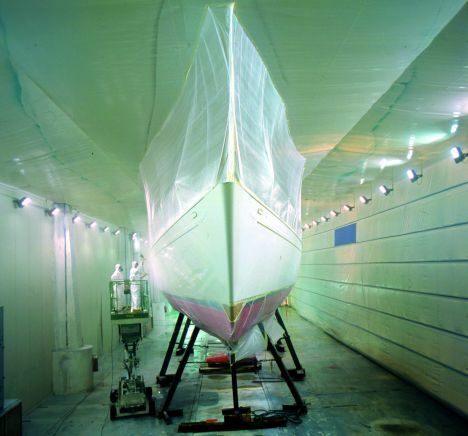 This is not only because the demand for this type of work has undoubtedly increased but also because the work of refitting some boats is often a radical undertaking, necessitating increasingly larger, more highly specialised structures, sometimes much more avant-garde than those at the disposal of the shipyards who build the boats. The WS shipyard of Savona has taken up the challenge, upgraded their premises and is now one of the greatest success stories in the restructuring sector. This is demonstrated also by the increase in the number of hours dedicated to this type of work, from 70,000 recorded in 2000 to 90,000 in 2002. A further increase is estimated for this season, with a predicted record for the bookings made for various types of work, i.e. no fewer than 60 boats. Established in July 1998 as a servicing shipyard for Wally Yacht, WS soon became specialised in work on superyachts of more than 24 metres, built in any type of material since it can actually accommodate boats of over 60 metres in length. This is because there is a spacious and rationally designed 5,000 square metre shed, a powerful travel lift which can move boats of up to 240 tons in weight and the accommodating potential of 120 metres of wharf, overlooking a particularly safe dock with 8/10 metres of draught. 120 people work inside, all highly qualified. 30 work for the shipyard and the others include technicians and workers from companies working to contract, as well as staff, crews and external support staff appointed by and under the direct control of the shipowners themselves. This, then, is a real refitting factory strategically positioned at the heart of the Ligurian Riviera, served by the airports of Genoa, Villanova d'Albenga and Nice and thus extremely near to the Côte d'Azur, traditionally the haunt of many "sea queen " and therefore a potentially vast domain of clients. 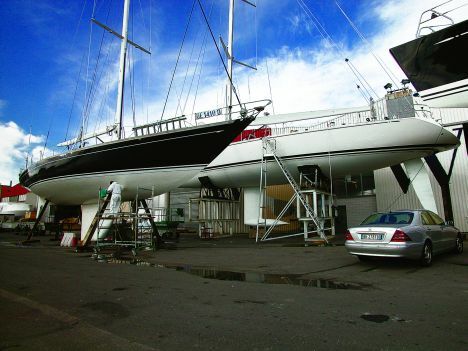 Since 1998 as many as one hundred boats have been restored at the WS shipyard; these have often been historically important boats with great names, or in any case always belonging to prestigious shipyards, as demonstrated by the list of boats currently in for work, which includes important names such as Nautor Swan, Riva, Jongert, Southern Wind and Wally Yacht. For further information: WService - Testata Molo Zona 7/8 - Porto di Savona - 17100 Savona - Tel +39 019 8485379 - Fax +39 019 8487527.